We've seen some head turning stunners from New York, London, and of course Milan, thanks to the likes of Marc Jacobs (I'm still drooling), Simone Rocha (I want half that collection), and DOLCE & GABBANA, and now we wade into some deep, mysterious and beguiling waters thanks to THE ultimate in fashion, care of the great ateliers of PARIS! 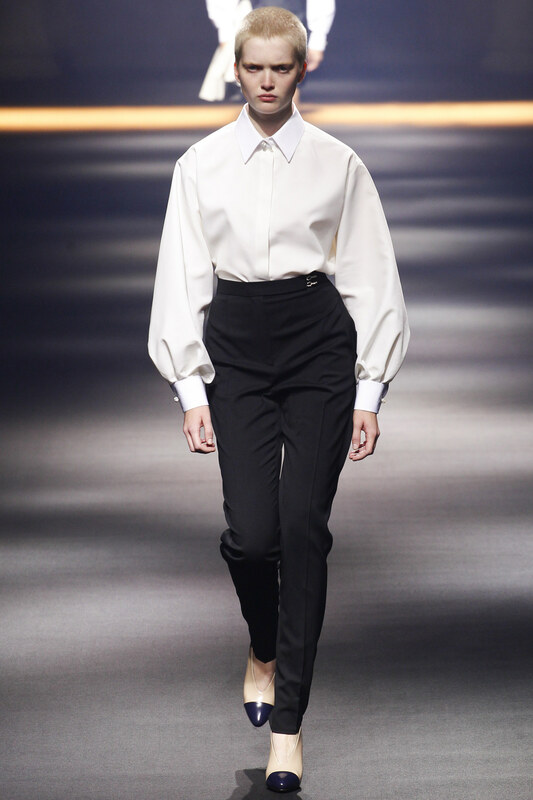 And first up from La Ville Lumiere, Alber Elbaz, the man at the helm of Lanvin since 2001. A master of amalgamating hip, funky, AND always fashionable opulence, Elbaz hits every note in this collection of separates and frocks. There is just enough black to satisfy the more serious and conservative contingent, in the form of slim pants, some awesome tuxedo jacket iterations, AND versions of the little black dress for the next cocktail to do. Sequins figure heavily in this collection, sharing space with ruffles, ribbons and some lovely crystal laden brooches. And with all the feminine flourishes, the good Mr. Elbaz prevents anything from becoming too precious with his signature unfinished hems and easy silhouettes. The perfect "suit" for the office or cruising around town. An easy spartan no brainer. 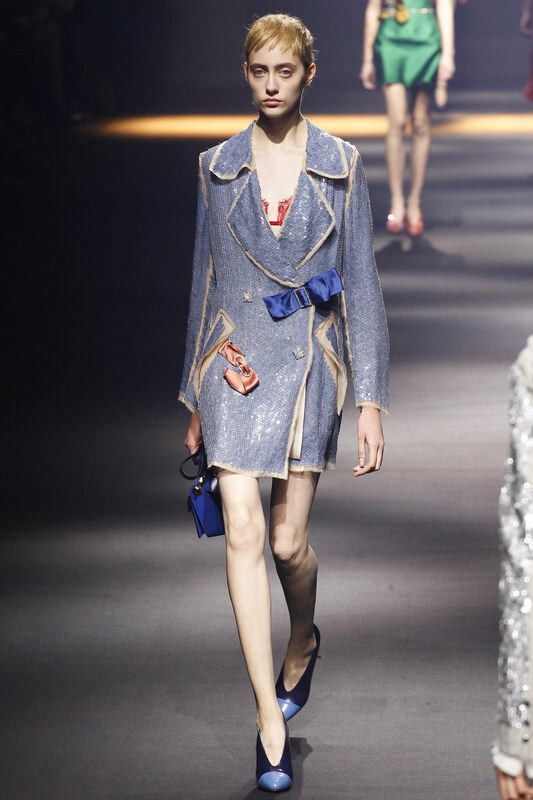 For a night out, just throw on an embellished jacket by Lanvin, Marc Jacobs, or Dolce & Gabbana. Ohhhhhh, the wee TUXEDO jacket! And mixed with an organza (?or is it gazar?) skirt, yum! Sort of serioso and light and airy. How about for Opera in an open amphitheater? RED and ruffly ruffles. Apparently everyone loves a ruffle. 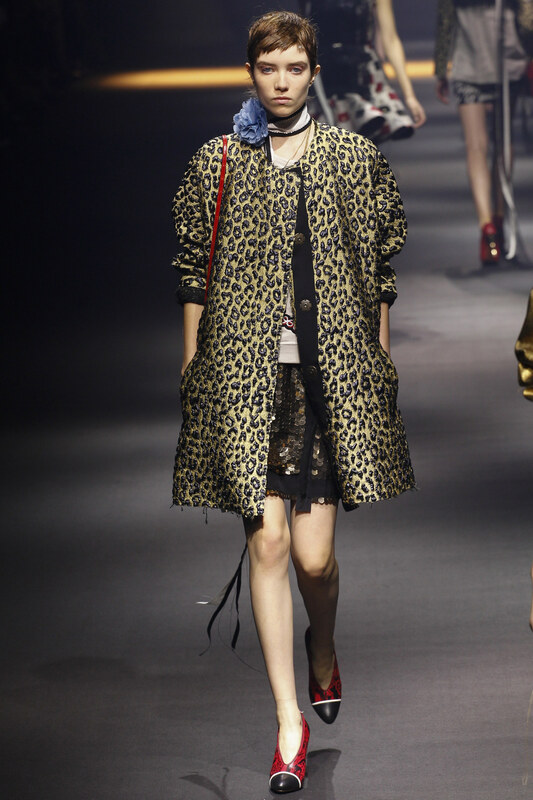 (Gucci does a red ruffle version for fall winter 2015). If one is going to go the mini route, let it be black leather. This Tuxedo jacket is AWESOME! Big lapels and roomy enough to cover up a host of indiscretions. Could even be worn as a dress with shoe booties or over the knee boots. I'm endlessly fascinated by the slightly askew ribbons fastened by crystal embedded brooches……and maybe even more so by the glitterized pumps! Love the varied layers.....great for the runway festivities, but not for everyone. Each piece can stand alone however. Damn! Get out the disco ball for full glitter effect. These festive frocks have a devil may care flapper appeal. We should all have one. One of my favorites of the collection. A dress, a jacket, sweet and hip. To indulge our inner girlie girl. If in doubt about what to get for a night out? SEPERATES! Oooooohhhh, calls for some RED or fuchsia glittered or crystal festooned Louboutins! Fuchsia, ribbons, pearls, and a flower, we've hit the feminine jackpot. Just love. Another version of glitter, an easy way to glam up your weekend wares. 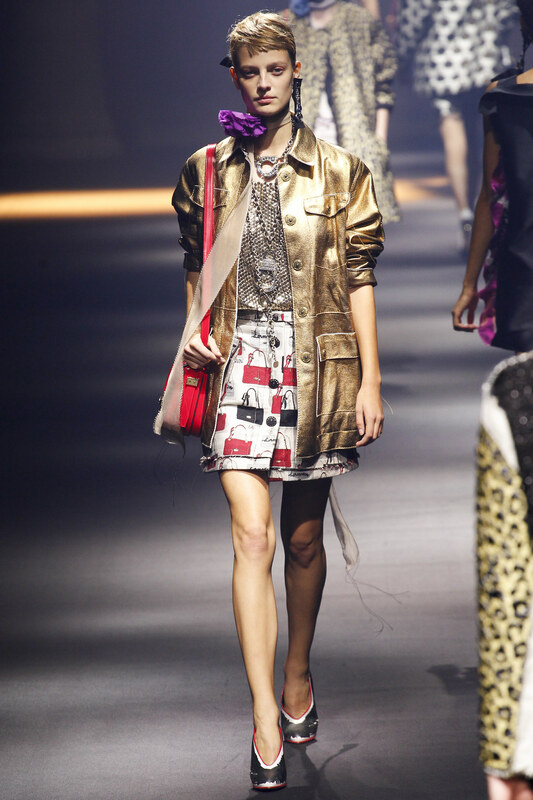 LEOPARD is here to stay. Here is a whimsical cloque topper. Light and easy to pack, perfect for sojourns to Paris or exotic desert locales calling for layers. Kicky! With just a hint of Moulin Rouge. The perfect collection for the new age party gal or anyone who wants to be swathed in hip and Kool razzle dazzle. 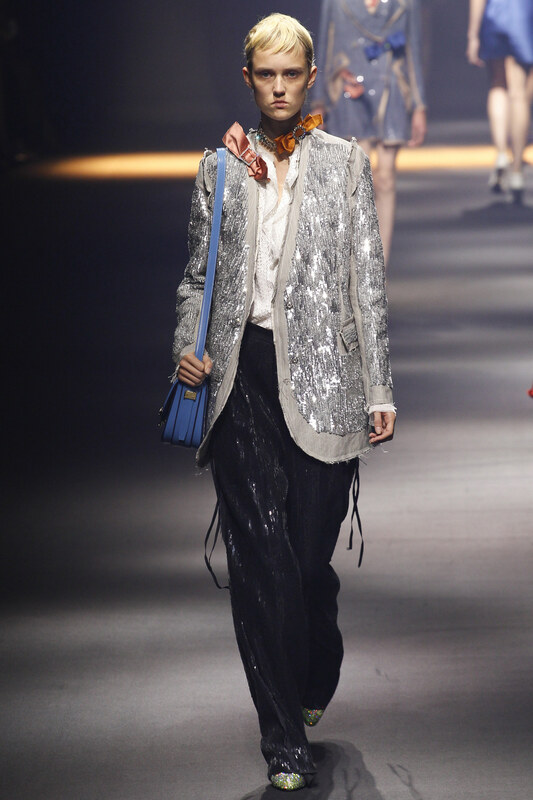 Thanks Alber Elbaz for a SMASHING collection! More from Paris fashion week to come! 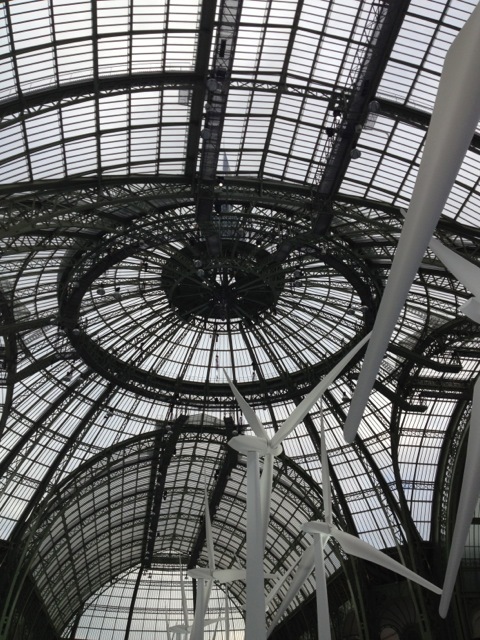 (The Grand Palais, Paris during fashion week, October 2012….good times…).